Now that we have absorbed the shock of Obama’s capitulation to the Iranians, it is time to face hard realities and plan for the future. It is sobering to realize that despite the fact that American public support for Israel is at an all-time high, the Obama administration was deceitful, lied, and effectively betrayed Israel. It behaved likewise to its long-standing Arab allies and dashed the aspirations of those Iranians seeking release from the brutal dictatorship of the fanatical Ayatollah regime. Unless Ayatollah Khamenei miraculously reverses his relentless xenophobia, Obama’s legacy will be that of an American president who appeased the most barbaric Islamic fundamentalist regime in the world. Make no mistake. The genocidal Islamic fundamentalists ruling Iran are contemporary Nazis reinforced with messianic beliefs. Like the Nazis, they aim to impose their demonic ideology on the entire world and proudly proclaim their goal to defeat the “Great Satan” (America) and wipe the “rabid dog of the region” (Israel), off the map. Analogies to the 1938 Munich agreement when the major powers appeased Hitler are painfully apt. But as Wall Street Journal columnist Bret Stephens has correctly noted, Chamberlain appeased Hitler when the UK was weak and unprepared. Obama capitulated to the Iranians from a position of strength when sanctions were threatening to undermine their regime. Obama also failed to absorb the lesson of trusting the duplicitous North Koreans and ironically even delegated the initial twelve months of clandestine advance negotiations with Iran to Wendy Sherman, the same State Department official who had negotiated the North Korean fiasco. Obama’s approach was certainly not impulsive. It reflected the Third World philosophy he articulated immediately following his re-election. His stated goals then were to diminish US involvement around the globe, end the war against Islamic fundamentalism, and to “engage” with rogue states – specifically Iran. He has since implemented this strategy with actions which included initially humiliating Israel, failing to stand by long-term Arab allies, and supporting the Moslem Brotherhood conquest of Egypt. In the Geneva forum both parties achieved their goals. Obama and his partners, willing to concede on virtually everything in their desperation to obtain an “agreement”, succeeded in doing so. The Iranians gained legitimization as a threshold nuclear state without conceding anything of substance and received a windfall of billions of dollars. 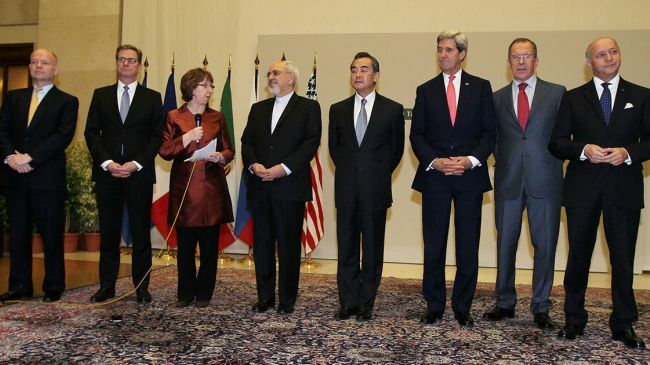 As Iranian president Hasan Rouhani triumphantly proclaimed, “The right of Iran to enrich uranium was accepted by the world powers…the architecture of sanctions will begin to break down”. The repeated Obama threat about employing military action as a last resort has lost all credibility and the Iranians feel complacent that Israel is unable to act whilst they “negotiate” with the US. Israel is now being accused of warmongering despite the fact that it has the most to lose in a conflict and had hoped that the Iranians could be pressured by sanctions to back down without resort to military action. The reality is that Obama’s appeasement of this draconian regime will only embolden the radical fanatics one of whose stated objectives is to impose global sharia law, almost guaranteeing a future war. Israel was fortunate to have Prime Minister Binyamin Netanyahu at the helm during this crisis despite the circumstantial limitations. His effective global campaign undoubtedly triggered the imposition of global sanctions and prevented the Iranians from quietly achieving their objectives. Obama’s visit to Israel in March and his repeated undertakings that Israel could rely on him to prevent the Iranians from developing a nuclear bomb encouraged Netanyahu to make major concessions to the Americans, including the highly unpopular wretched release of mass murderers in order to “induce” the Palestinians to engage in peace talks. Obama’s betrayal obviously shocked Netanyahu. In response, he outlined Israel’s position and exposed the dangers of the agreement, knowing that this would anger the Americans and their allies who were in a state of euphoria with their one-sided agreement and embarrassed by exposure of their impotence. To counter the challenges, even from within his own congressional party, Obama invited Israel to become engaged in an advisory capacity in relation to future negotiations. 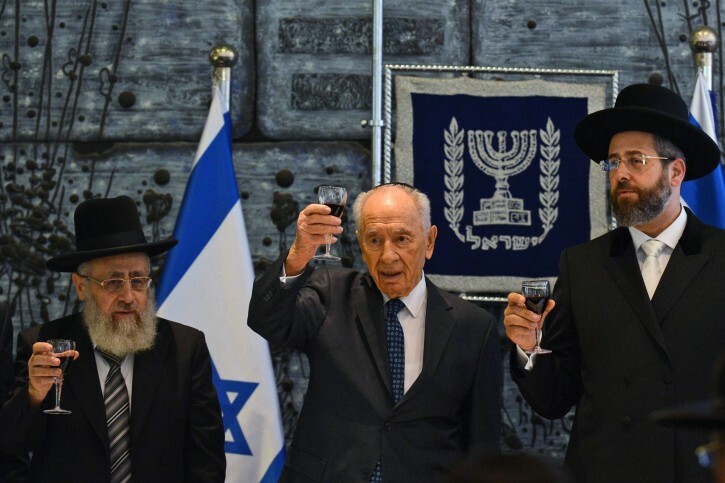 In response Netanyahu has somewhat softened his tone and concentrated on drawing attention to minimum requirements for a final deal with the Iranians – even though he is aware that Israel’s input will have a negligible impact on the outcome. 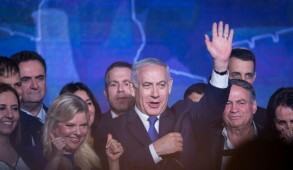 Despite criticism from his political adversaries and the hostile media, all polls show that the Israeli public overwhelmingly endorses Netanyahu’s critique of the American administration. Where does this leave the “unshakable bond” between the US and Israel? The relationship has unquestionably become strained as President Obama increasingly considered Israel as an obstacle to his quest to “engage” Iran. 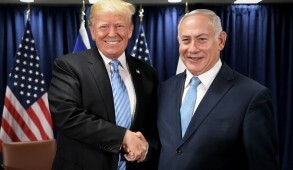 Yet, despite the probability of further turbulent confrontations in the near future, the unique shared values between Israelis and Americans will prevent a real breakdown. The dominant feelings towards Israel have never been more positive than today and there is every hope that despite the current tensions, vox populi will ensure that Israel and America retain their relationship and that the traditional trust which prevailed in the past will be resumed in the future. This is reinforced by the fact that, despite the tensions, the Obama Administration has never wavered from assuring Americans that it will always stand by Israel’s security and has in fact strengthened military support for Israel. The US remains crucial to Israel’s survival. 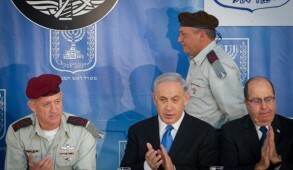 Of course, Israel should become more self-reliant and seek additional partners. But any suggestion that Russia, China or a European country could substitute for the United States is absurd. To retain American public and Congressional support will require delicate diplomacy by Israel and the active support of assertive American Jewish leaders and pro-Israel Christian groups. In the past supporters of Israel were basically in sync with the administration but today this is not the case. Already, the Obama Administration has been exerting pressure on Jewish organizational leaders not to “rock the boat”. Some critics are already making analogies to Roosevelt intimidation and silencing of Jewish leaders during the Holocaust and the Administration’s efforts to muzzle the Jewish leadership. In this climate, ugly anti-Semitic accusations are emerging. Jews are being accused of dual loyalties and warmongering, seeking to “drag America into another war”. 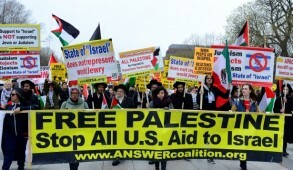 Until recently, AIPAC and the major Jewish agencies such as the Presidents Conference, the American Jewish Committee, the Anti-Defamation League, the World Jewish Congress and prominent Jewish activists, resolutely resisted pressures to endorse the Administration’s position and were outspokenly critical of the Iranian sellout. Even Alan Dershowitz, one of Obama’s most loyal Jewish followers, warned that this “could be a cataclysmic error of gigantic proportions” and “could become a Chamberlain moment” for the President. But now Jewish criticism has become more muted. AIPAC CEO, Howard Kohr, has called on AIPAC supporters to stop criticizing President Obama and his administration and concentrate exclusively on lobbying for intensified sanctions. He defended this approach on the grounds that the Geneva agreement only amounted to a “difference of strategy” with Israel on how to prevent Iran from obtaining nuclear weapons. His supporters argue that although Obama may have betrayed Israel’s trust, he also deceived all his allies in the region. Privately, some Jewish establishment leaders warn that direct confrontation with Obama will have negative consequences on the American Israeli relationship. They also allege – mistakenly – that Israel is deeply divided over the issue. They justify their approach by relating to the war weariness of the American people and concern that isolationism is growing at the congressional level. They argue that only American Jews vehemently opposed to Obama encourage open criticism of the president and claim that most are willing to wait and see. Jewish leaders undoubtedly also face pressures from their liberal constituents and donors and fear that it they are perceived by the administration as being too outspoken, they will be denied access and marginalized. Thus, the Zionist Organization of America (ZOA) headed by Mort Klein emerged as the principal organization continuing to lambast the administration for having abandoned Israel. It also publicly reprimanded AIPAC for “its imprudent, deeply troubling words that are at odds with Israel’s position…The Iran deal is a repudiation of the need to stop Iran…We must be unalterably opposed to it and say why, loudly and clearly, not prattle about mere disagreements”. After the ZOA condemnation of AIPAC, ADL head, Abe Foxman, who had endorsed the muted AIPAC approach, stated emphatically that he was “embarrassed by our government’s acceptance of Iran’s blackmail” and described secret U.S. talks with Teheran as a “violation of the special relationship with Israel”. The overview of recent events should nevertheless be viewed in perspective. While it is reasonable to suggest that the US and its allies are repeating the scenario of appeasement policies undertaken by Chamberlain, Israel today is not Czechoslovakia of 1938. It is not a vassal state and will not allow itself to be sacrificed in order to placate the successors of Nazism. The IDF today is the most powerful military force in the region, capable of deterring an onslaught by all its adversaries combined. Its neighbors Egypt and Syria are beset by internal problems and the Hamas and Hezbollah terrorist organizations are mired in their own crises. In relation to Iran, Saudi Arabia and Gulf states will quietly be supportive of Israel. Besides, America is one of the few countries whose people expect its leaders to be guided by moral values rather than realpolitik. The remarks by President Obama and Secretary of State Kerry at the Saban Conference effusively praising Israel and reiterating the US commitment to stand by us, reflects the shared values and support which Israel enjoys amongst the American public. Despite the current tensions, continued delicate but determined diplomacy and our common interest in resisting Islamic fundamentalism will sustain the relationship with the US. Hopefully, a more friendly future administration will also restore the trust between both countries. But today, as in the past, we must never subordinate our security to third parties and recognize that in the last resort, we can only rely on our strength and ability to defend ourselves. 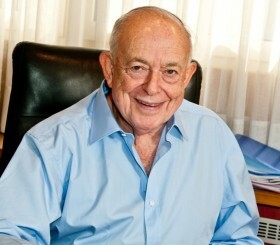 Post-Olmert: A new era or more of the same?